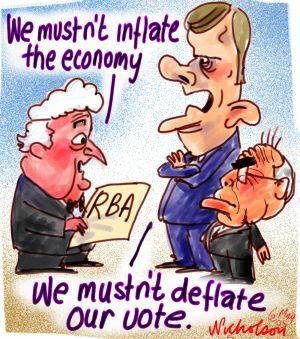 Deflation affects the entire economic life of the country. The different sections of society are affected in the following manner. The production costs at a time of deflation do not fall as rapidly as the prices of the finished product. Whenever a producer buys raw-materials etc, for the purpose of production, he has to pay a higher price for it when the finished product reaches the market, the prices of raw-materials will have fallen still further and the producer will be compelled to sell his product at a reduced price. The demand for commodities also goes down at a time of deflation.